Imagine this: You start out making music for fun in your parent's basement. You post some of your songs online. People discover them and like what they hear, and suddenly you have a fanbase. You sign a record deal, create a few albums, and one of your songs hits the top of the charts. And it all started in a basement. Sounds pretty improbable, doesn't it? 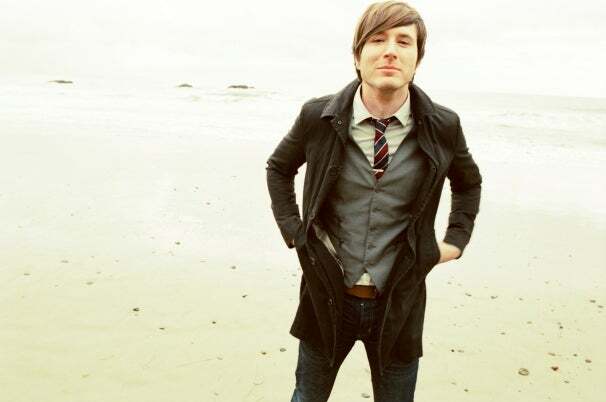 It happened to Adam Young, the singer, songwriter and instrumentalist behind the synthpop act Owl City. Adam, who has a new album called The Midsummer Station that's due out August 21, was gracious enough to take some time and answer a few questions about the creative process of putting together a song, some of the tools of the trade, and his favorite Internet meme. Here's what he had to say. How'd you get interested in music? Did anything in particular inspire you to become a musician? It was mostly out of boredom. I didn't have a ton of friends and I had a lot of free time so I started experimenting with music. I had no idea what I was doing, and for some reason I just really took to it. It's crazy to think how it went from being just hobby to a passion overnight and now it's all I can think about. "It's crazy to think how it went from being just hobby to a passion overnight and now it's all I can think about." We know you started out making music in your basement. What was your setup like then? Primitive. I started with Reason 3 on an old Dell desktop with the enormous box monitor. It's come quite a long way since then. Can you tell us a little bit about how you get inspiration for your music, and the process of producing a track? It varies but I get most of my inspiration from my life experiences. I collaborated with a lot of talented artists on this record so some inspiration stemmed from them. When producing a track, I always write music and vocal melodies before lyrics. Once I have a framework built, then comes plugging in the right sounds and the right syllables. What was the most random piece of equipment you used? I recorded myself swishing my bunk curtain back and forth on the tour bus and I've used the sample on almost every track I've ever produced. Your sound has an almost retro-video-game-music feel to it. We're a tech site, so we've gotta ask, did Super Mario Bros. influence you in any way? Definitely. The water/ocean levels in Mario were my favorite. More than that however, I'm incredibly influenced by Wave Race 64. Hands down favorite game I've ever played. How was the Internet beneficial in getting the word out on your first album? Myspace was a way of promoting my music without leaving the house and that seemed awesome to me. Things just took off and I still don't have any idea how it all came together. I was just in the right place at the right time. Do you have a favorite Internet meme? Which one? Your Twitter stream (@owlcity) seems quite unique. How do you manage it to keep fans both entertained and informed? It's fun, it's always gotta be fun or else it feels forced and annoying to everyone. I just think of witty things and tweet them. How important is it to engage with your audience using social media? Would Owl City be what it is today without those channels? Certainly not. I'm not the guy to jump in the car and physically go out and push my music onto people, I just put things online for them to stumble upon and that's why social media has been huge for me. What can we look forward to from Owl City in the future? More records, more songs, just more everything. Do you have any advice for anyone who wants to put out their own album? Stick with what you believe in no matter what it is. Trust yourself and love what you put out into the world! Nick Mediati (@dtnick) oversees PCWorld's GeekTech blog.